US-based Pagaya Investments reveals it has got $75 million in debt financing from Citi and created its “Opportunity Fund” to tap into the consumer credit as an asset class market. Prosper, an online lending platform, will sell loans to the Opportunity Fund. Founded in 2016, Pagaya says it has raised to date $200 million in capital mainly from investors and has dual headquarters in Tel Aviv and New York. The company uses machine learning and data analytics to “improve performance” in the asset management space. Pagaya’s co-founder and CEO Gal Krubiner says with the money it is expanding its product offering. Staying in the US, Kansas-based working capital marketplace C2FO has completed a $100 million funding round led by Allianz X and Mubadala Investment, along with participation from existing C2FO investors Temasek, Union Square Ventures and Mithril Capital. The investment will be used for growth, additional working capital solutions, and development of its C2FO customer community. Proceeds will also be used for secondary share purchases from earlier investors and associates. 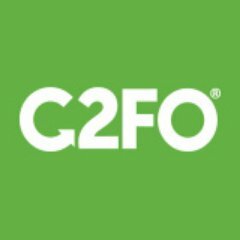 Sandy Kemper, C2FO founder and CEO says it was launched in 2010 (on LinkedIn – C2FO says it was founded in 2008) and its goal is to be the “most convenient and lowest cost source for business funding in the world”. By 2021, C2FO is forecasting $1 billion in funding per day. It’s not all about the US as moving south to Brazil, RecargaPay, a mobile payments platform, has raised $22 million in a Series B round. New investors include IFC, TheVentureCity and Ventech. The money will be used for recruitment, and building products and technology. Founded by Rodrigo Teijeiro, Alvaro Teijeiro, and Gustavo Victorica, RecargaPay says it is focused on banked and unbanked consumers in Brazil and has around ten million current wallet users. It has 85 employees based mainly in Sao Paulo and Rio de Janeiro, with additional offices in Buenos Aires and Miami.